21st Annual Cesar Gonzmart Memorial Gourmet Golf Tournament benefits University Of South Florida Latino Scholarship Program And Athletics Foundation. A percentage of the proceeds will benefit the University of South Florida’s Latino Scholarship Fund A percentage of the proceeds also will benefit USF Athletics. Richard Gonzmart interview with long time technology partner, Data-Tech. The cloud isn’t just a technology fad — companies are moving entire networks into the cloud, and it is now becoming a mainstreamed corporate computing model. The cloud makes good technological sense, but it also makes good business sense. Instead of a huge capital expense outpouring every three to five years for hardware upgrades, you pay monthly for your IT service. This means a more predictable budget and more readily available cash flow. Disaster Recovery: The Most Critical Part To Data Backups That Most Companies Overlook – This got me thinking about how important disaster recovery planning is to any business. No one expects terrible things to happen, but when they do, having that plan in place can really save your bacon. And one of the MOST important aspects of this is the recovery part – how are you going to get that data back onto a working platform that allows you to continue serving your customers and operating your business. The shocker for most business owners is that simply having a copy of the data does NOT guarantee a fast recovery. Backup fast, recover faster. Protect your system and data with recovery software that backs up your organization’s entire IT environment. 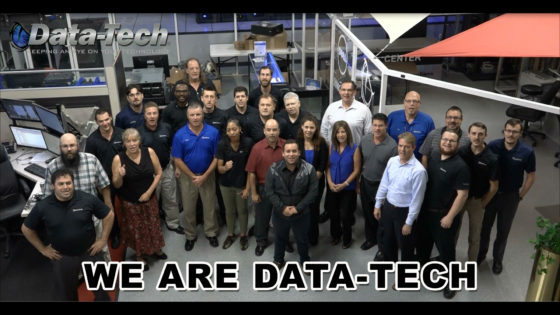 Data-Tech and StorageCraft offers backup software and disaster recovery, data protection, and migration solutions for physical, virtual, and hybrid Windows IT environments. 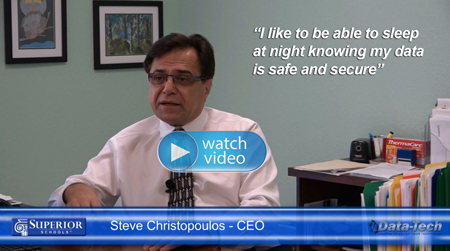 Visit us online at www.DataTechitp.com or call (813) 874-5511 for a Free Consultation. A company’s cyber security is only as strong as its weakest link. “Employee error” turns out to be the most common reason for a data breach at companies, according to a new cyber security report released Wednesday by the Association of Corporate Counsel. This means the breach occurred as the result of a mistake the employee made, such as accidentally sending an email with sensitive information to someone outside the company. Internal attacks are one of the biggest threats facing your data and systems – Protecting Against Cyber Attack – No one is immune. Cyber-attacks threaten organizations daily, and if you’re company is not vigilant it may be besieged by any number of IT attacks, costing time, revenue or loss of trust by your stakeholders. Securing and managing this data is critical for any business and is a fiduciary responsibility for CFOs, CEOs and Boards. Human error accounts for a high percent of the root cause of security breaches, according to a new study from CompTIA, which surveyed individuals from hundreds of companies in the U.S.
50% of all small businesses reported they have been the victim of a cyberattack. The cost of dealing with these attacks has skyrocketed to $20,752.00 per attack, up from $8,699.00 two years ago says the National Small Business Association in its 2014 Year End Economic Report. Understanding the constantly evolving tactics of cyber-criminals can help your team prepare an active security strategy. Firewall as a Service with Dell SonicWALL – Data-Tech has partnered with Dell SonicWALL—the leader in advanced network security, secure remote access and data protection—to offer our customers the very best available security on the market in the form of Firewall-as-a-Service. – Dell SonicWALL firewall is a powerful Unified Threat Management (UTM) appliance that enables all of these services. Each appliance bundles all hardware and services needed for comprehensive UTM network protection from a wide range of emerging network threats. FWaaS stands for “firewall-as-a-service” and includes all the technology required to provide a remote firewall management offering. Businesses use high speed Internet connections to connect offices, store data, and use cloud computing to manage customer relationships, billing, and office productivity. The more connected your business becomes, the more important it is that the data stored inside its network is protected from those outside your business who steal data for nefarious purposes. Many small businesses lack a robust firewall that can protect them from these external threats. Instead, they use the on-board firewall on their Windows PC coupled with the minimal protection offered by a residential grade router. Such solutions don’t offer much protection from sophisticated threats, however, so it makes sense to upgrade to a true business class firewall. Firewalls are your first line of defense against an entire class of network-based threat that is constantly (yes, constantly) attempting to attack your computer. Those threats are stopped cold simply by having a firewall. The basic concept of a firewall is very simple: it blocks or filters certain types of network traffic from ever reaching your computer. Organizations that rely on Dell SecureWorks’ Firewall Management service reduce the cost of managing and monitoring firewalls in-house, while supplementing their security efforts with Dell SecureWorks’ proven expertise. In today’s competitive environment, you can’t afford to fall behind. A partnership with Data-Tech backed by our Versa Services programs will solve all of that. When businesses are looking for a managed services provider, they are typically looking to resolve significant pain points and weaknesses in their IT infrastructure.